Pinstripe is a captivating adventure full of charm and heartbreak that instantly pulls you in and refuses to let go. Pinstripe by the one-man dev team at Atmos Games, Thomas Brush, is more than just a grim exploration game. It’s a singularly haunting experience. 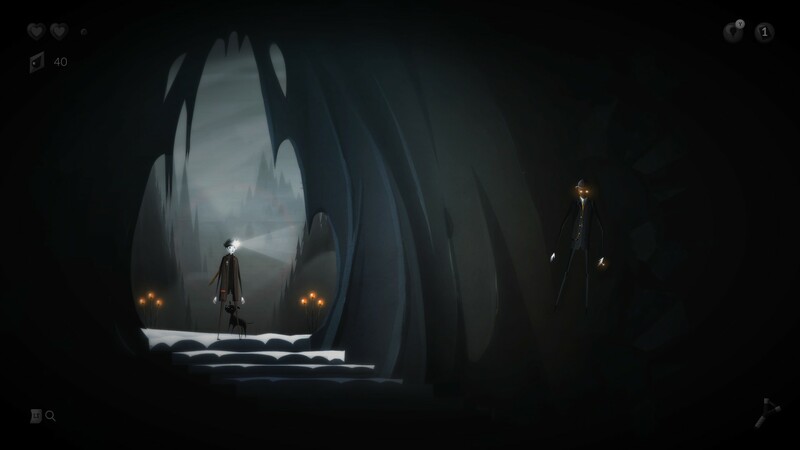 In the game you play as Teddy, an ex-priest who’s on a quest to rescue his daughter from the sinister entity Pinstripe. Pinstripe is an authentically threatening villain, not necessarily in his actions but the lilt in his voice and the way he carries himself. As you converse with him, his voice tends to become more aggressive, and he utilizes creepy quips including one about black balloons that reminded me a lot of Pennywise the Clown from Stephen King’s It. Despite the chilling moments where Teddy converses with "The Dark Man," the game manages to balance comedy and tragedy quite well. For example, when you first enter the game, you find yourself on a train and are treated to a sweet interaction between Teddy and his three-year-old daughter Bo about Sherlock Holmes. I feel it’s in these lighthearted moments that the full gravity of Teddy’s situation comes into play. One of my favorite aspects of Pinstripe is the voice acting, which is absolutely superb. One standout, aside from the wicked Pinstripe himself, is little Bo. It isn’t often that you hear a child character portrayed so well in a game, and I feel this authenticity serves to really immerse you in the story. When the characters feel real, you’re better able to relate to them and care about the things happening around them. The game continues to excel in its attention to detail from the imagery, sound, and unique personality of each character. Furthermore, it doesn’t waste time trying to introduce you to the chilly depths of Hell. 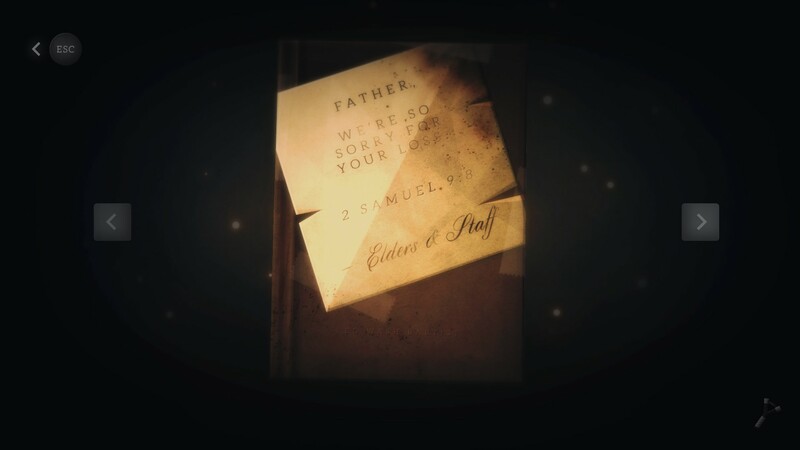 It simply drops you right in and lets you go. The game’s puzzles are indeed challenging, yet none ever mar the game’s enjoyability by holding you in one place for too long. That said, there is a lot of back and forth movement between areas, though this exploration in itself is also a joy rather than a forced requirement. There are so many different things to see in each area of Pinstripe that it really makes you want to take your time and explore. In doing so, you’ll discover hints about Teddy’s backstory and some of the circumstances plaguing him. You could say Teddy’s black dog, George, epitomizes the notion of the “black dog of depression.” Personally, I feel this way because George helps you dig up items buried underneath pawprint clues, and these items are often extremely melancholy. While the items you find may appear ordinary on the surface, when you start to turn them around and really examine them, you’ll discover the item's hidden truth. In turn, these items give you greater insight into Teddy’s personal plight and the events that landed him in this lonely corner of Hell. 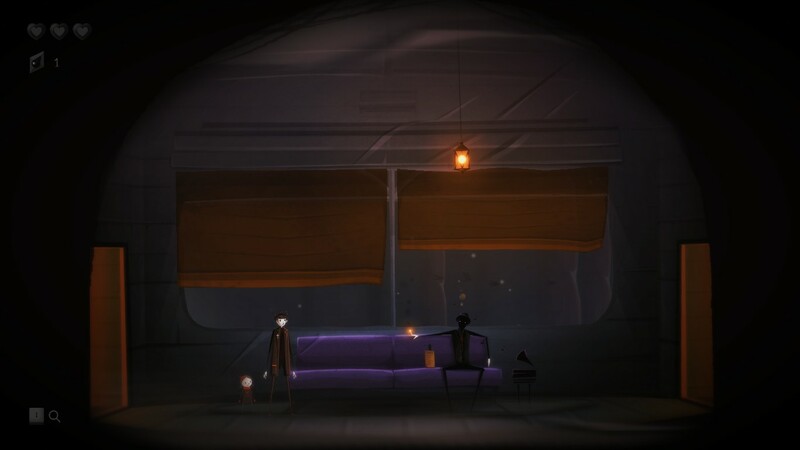 The game feels akin to other dark adventures like Fran Bow, Inside, and Limbo. However, I feel Pinstripe carves out a niche all its own thanks to its overall cohesion and brevity. There's a lot of subtle nuances in Pinstripe and clever metaphor that really help set it apart from other side-scrollers. There are times where it really feels as though the game had a larger group of people behind it. A fact that definitely serves as a testament to the talent of Thomas Brush, who worked on Pinstripe solo for over five years. Pinstripe is a delight to play, and may surprise gamers who otherwise had no previous knowledge of it. It’s a story, a puzzle, and explorative side-scroller, and a true indie gem hidden within the vastness of Steam. 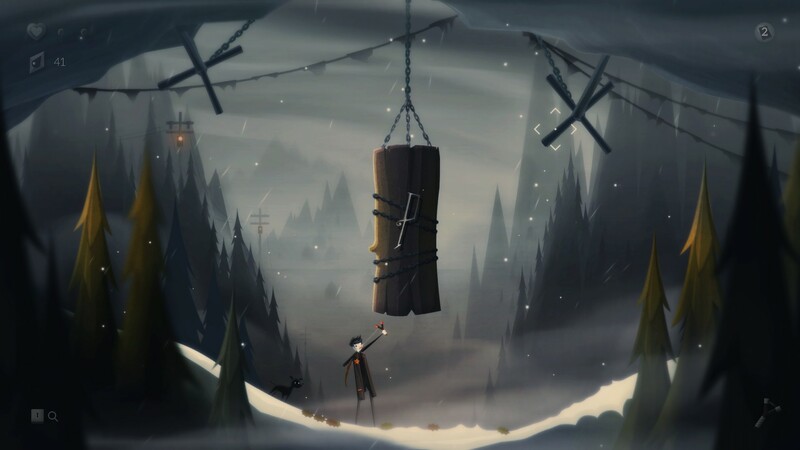 If you're looking for a solid new indie to play, I definitely recommend giving Pinstripe a try. It’s not only one of my favorite indie games this year, but I feel it's well worth the purchase price and then some. You can purchase Pinstripe on Steam, and learn more by either visiting the official Pinstripe website, or reading through our interview with Pinstripe creator Thomas Brush. A fantastic soundtrack that fits well with the game's story. A talented cast of voice actors. Some of the puzzles can be a bit tricky.